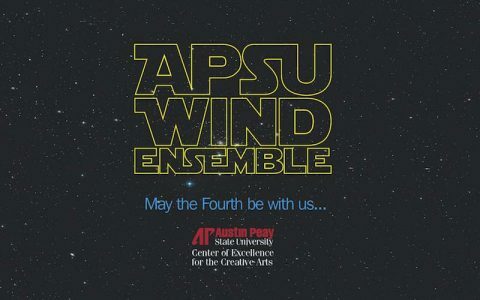 Clarksville, TN – On Thursday, May 4th, 2017, The Force will be with Austin Peay State University as the APSU Wind Ensemble invites you to celebrate the music of Star Wars with a free musical program featuring the series’ iconic score. The event, which is free and open to the public, takes place at 7:30pm on the new residential quad located off of Drane Street on the University campus. 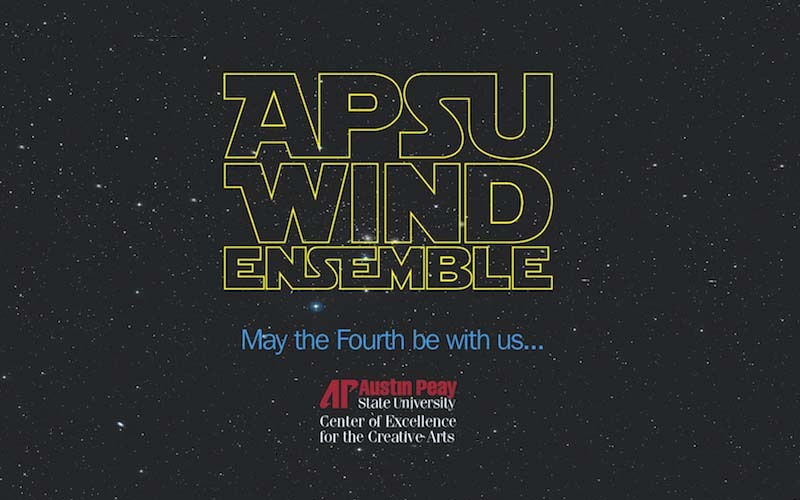 Led by Gregory Wolynec, APSU director of bands, the APSU Wind Ensemble will perform a Sousa-style concert featuring light classical music, marches, patriotic tunes and a suite of pieces from the Star Wars films. 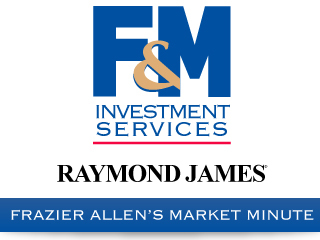 Families are invited to bring a picnic dinner, blankets and lawn chairs. In case of rain, the event will be held inside the Memorial Health Building, also located on the University campus.